MOSCOW (Sputnik) - US President Donald Trump appeared to confirm reports on Sunday that Jamal Badawi, an operative of the al-Qaeda terrorist group (banned in Russia) responsible for a 2000 attack on the USS Cole, had been killed in an airstrike. "Our GREAT MILITARY has delivered justice for the heroes lost and wounded in the cowardly attack on the USS Cole. We have just killed the leader of that attack, Jamal al-Badawi." Trump wrote on his Twitter. The US Central Command confirmed hours later that Badawi was killed in a precision strike in Yemen's Marib governate, Jan. 1. — U.S. Central Command (@CENTCOM) 6 января 2019 г. 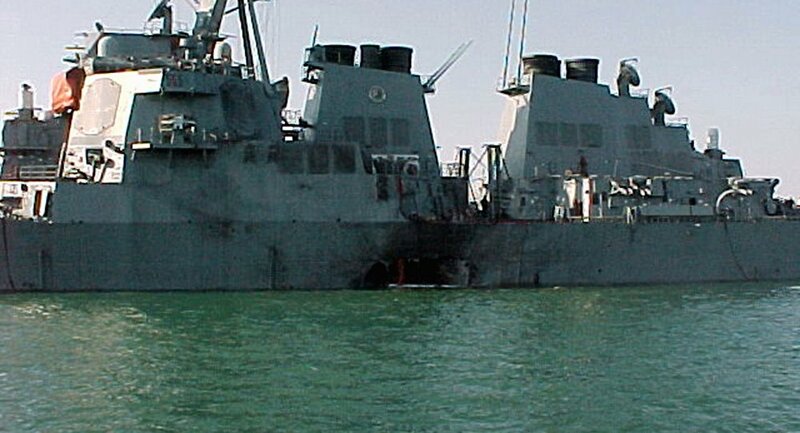 ​US media reported on Saturday that Badawi, who was indicted by a grand jury in 2003 for orchestrating the October 12, 2000 attack on the USS Cole that killed 17 American sailors, had been killed in the strike in Yemen on January 1. FILE PHOTO: Yemeni Islamic militant Jamal al-Badawi looks from behind bars during the first hearing of a Sana'a court of appeals hearing in Yemen December 8, 2004. Badawi, along with Abd al-Rahim al-Nashiri, Abu Ali al-Harithi and Fahd al-Quso, were named by the incoming George W. Bush administration as conspirators who organised the attack on behalf of al-Qaeda, which claimed responsibility for the act. Tawfiq bin Attash has also been accused of organising the attack.